Elkhart Lake, Wisconsin – May 25, 2017 – The Midwest Automotive Media Association (MAMA) held its annual Spring Rally last week at Road America – one of the world’s premier permanent road racing tracks. 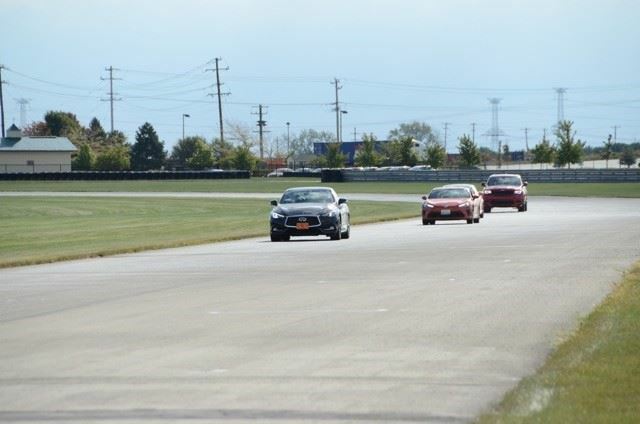 Over the course of two days, 95 media members from across the country were able to put 110 vehicles through their paces through a variety of driving including on-track, street, off-road and autocross. 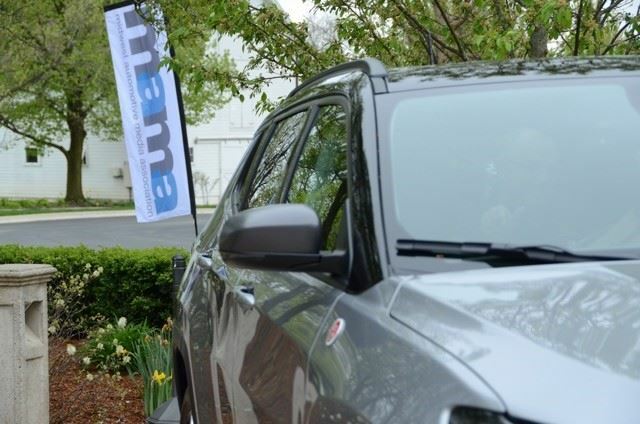 Automakers selected the MAMA Spring Rally to showcase their latest cars, trucks and SUVs, and a few even gave MAMA journalists a sneak peek at some of the hottest vehicles that have yet to be seen – or driven – outside of an auto show. 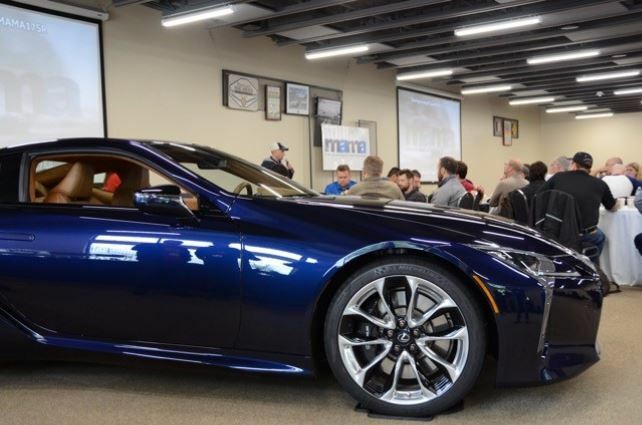 Lexus opened the MAMA Spring Rally with a breakfast presentation to spotlight the 2018 Lexus LC 500. One of the first times seen outside of an auto show, Lexus is giving MAMA journalists the chance to take it for test drives for performance and driving impressions. Powered by a normally aspirated 5.9-liter V8 and matched with the luxury class first direct shift 10-speed automatic transmission, the LC 500 delivers 471 hp and 398 lb.-ft. of torque. The vehicle is expected to hit dealerships this May and will have a starting price of $92,000. 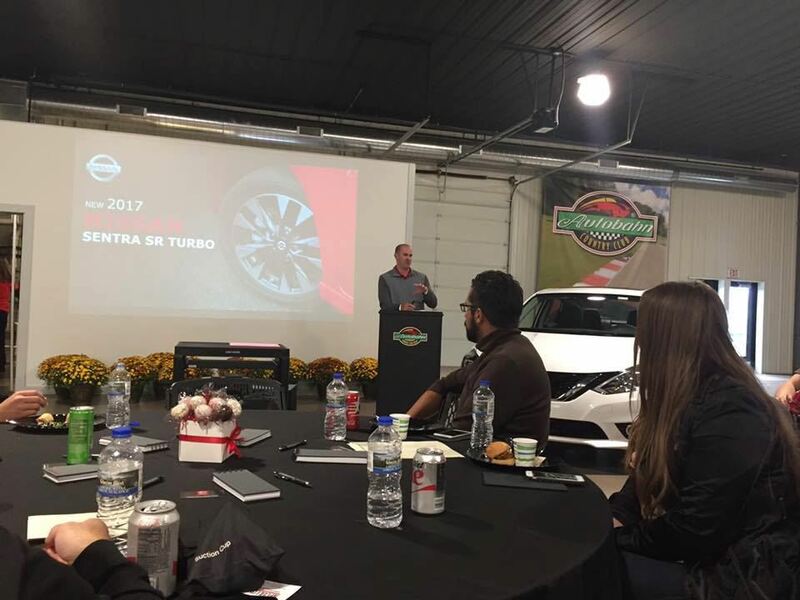 Subaru’s Car Line Planning Manager Todd Hill was on hand to give MAMA members an insider perspective on the 2018 Crosstrek, which is all-new from the ground up with revised styling, new engine and improved features. Safety is a huge priority for Subaru. The automaker equipped the new Crosstrek with improved visibility, seven airbags, enhanced seatbelts and is targeting best-in-class for hazard avoidance performance. Subaru’s EyeSight Driver Assist Technology suite consists of forward-collision warning and prevention, lane-departure warning and adaptive cruise control. Base, premium and limited trim levels will be available. In terms of connectivity, Crosstrek has a brand-new infotainment system and comes standard with Apple Carplay and Android Auto. Under the hood, the Crosstrek has the same 2.0-liter, four-cylinder engine found in the Impreza, which produces 152 hp. 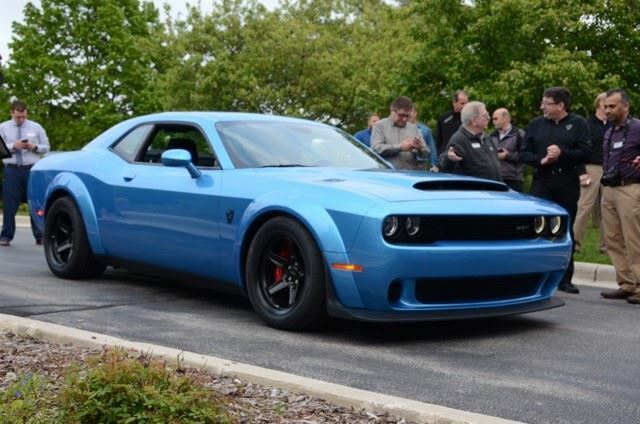 Dodge charged up rally-goers with the surprise appearance of the 840-horsepower 2018 Challenger SRT, first time the fastest muscle car ever has appeared outside of an auto show. Dodge also just announced its pricing, starting at $84,995, and said deliveries are expected to begin this fall. Dodge also brought the new 2018 Dodge Durango SRT to the rally, following up on its reveal at this year's Chicago Auto Show. With 475 hp, the Durango SRT is America's fastest, most powerful and most capable three-row SUV. It can out-haul every three-row SUV on the road with best-in-class towing capacity of 8,600 pounds. Right as the Rogue Sport rolled into dealerships, MAMA members were among the first to get a glimpse. Nissan opened the second day of the MAMA Spring Rally with a breakfast to tout its all-new Rogue Sport, which is set to go on sale this spring. 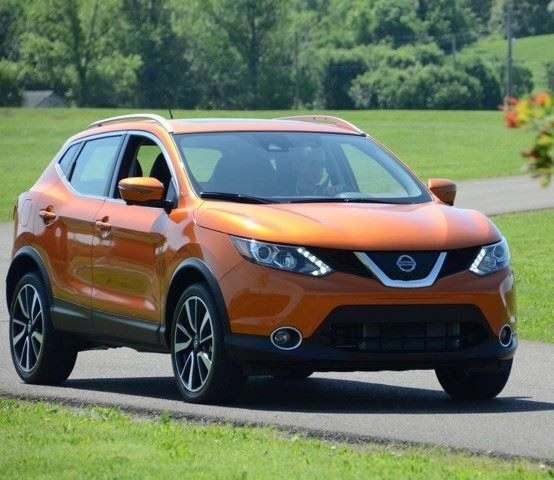 While the Rogue Sport shares the Rogue name, platform and numerous advanced safety and security features, Nissan says the Rogue Sport stands on its own as a stylish, nimble, fun-to-drive and affordable compact SUV that’s intended for an urban market. Right-sized for the city, the Rogue Sport has a 2.3-inch shorter wheelbase and a 12.1-inch shorter overall length than the Rogue. On the safety front, the Rogue Sport offers forward emergency braking with pedestrian detection, lane departure prevention and rear cross traffic alert. The Rogue Sport comes in three models – S, SV and SL, each in a choice of front-wheel or all-wheel drive – with a starting price point of $21,420. Just as MAMA members thought the two-day event was concluding, Kia had another surprise in store. The Stinger, Kia’s first high-performance sports car, made its first-ever regional press association appearance. While indeed powerful, with 370 hp, Kia says the Stinger is more synonymous with luxury, comfort and grace. The Stinger is expected to go on sale this summer, with a price range of $35,000-$45,000. 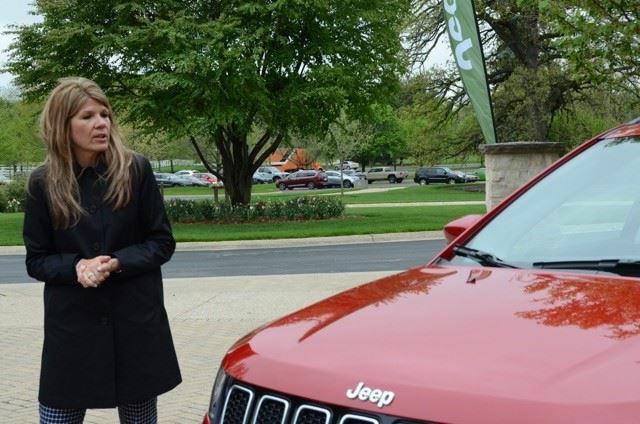 Wheaton, Illinois (April 27, 2017) – Fiat Chrysler Automobiles hosted MAMA members at the historic Danada House in Wheaton on Thursday, April 27, for lunch and to show off the new 2017 Jeep Compass and the upcoming 2018 Jeep Grand Cherokee Trackhawk. Jeep Compass Brand Manager Kim Japinga also talked about the brand’s recent market performance. Before discussing the capabilities of both the Trackhawk and Compass, Japinga went over the brand’s recent history. Last year, 2016, marked the seventh year of sales growth for Jeep both in the U.S. and internationally. It’s the fifth straight global sales record for Jeep, and the third straight year of global sales that exceeded one million. Global sales increased 13 percent to 1.4 million and U.S. sales were a hair under a million at 926,376, which is an increase of six percent. The Compass will be offered with a 2.4-liter four-cylinder engine that makes 180 horsepower and three transmissions – a six-speed manual, a six-speed automatic and a nine-speed automatic. It will be available with two-wheel and four-wheel drive and offered in four trims – Sport, Latitude, Limited and Trailhawk. 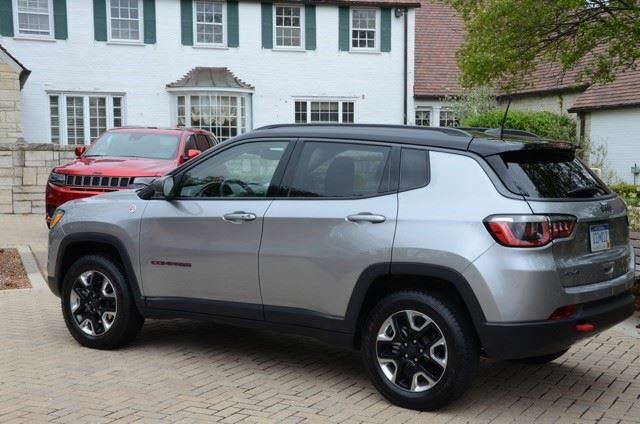 Available features include a dual sunroof, power liftgate, Apple CarPlay, Android Auto, UConnect infotainment system, navigation system and satellite radio. The Trackhawk is a high-powered version of the Grand Cherokee that features a 6.2-liter supercharged V-8 that makes 707 horsepower and 645 lb-ft of torque. It has an eight-speed automatic transmission and upgraded Brembo brakes, and Jeep projects a 0-60 mph time of 3.5 seconds and a top speed of 180 mph. Other available features include 20-inch wheels, UConnect infotainment, Apple CarPlay and Android Auto. None of the vehicles were available for driving, but Jeep representatives did fire up the Trackhawk to allow assembled media to hear it run. 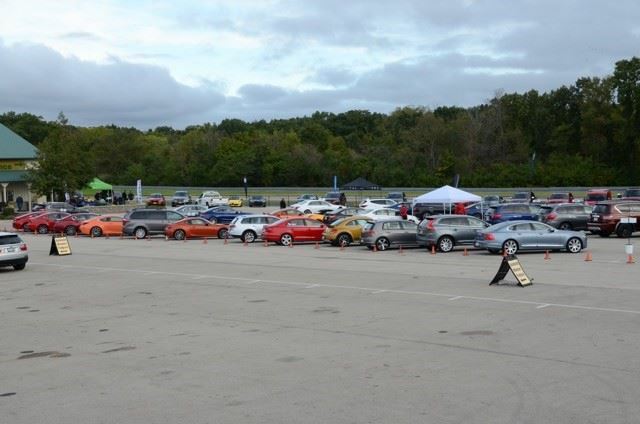 Don’t forget that the 2017 MAMA Spring Rally is coming up, with our track day at Road America taking place on May 24 and off-road, autocross and Family Vehicle of the Year evaluations taking place on May 25. Chicago, Illinois (February 9, 2017) – The Midwest Automotive Media Association announced today that the 2017 Chrysler Pacifica has been named the winner of its seventh annual Family Vehicle of the Year award. 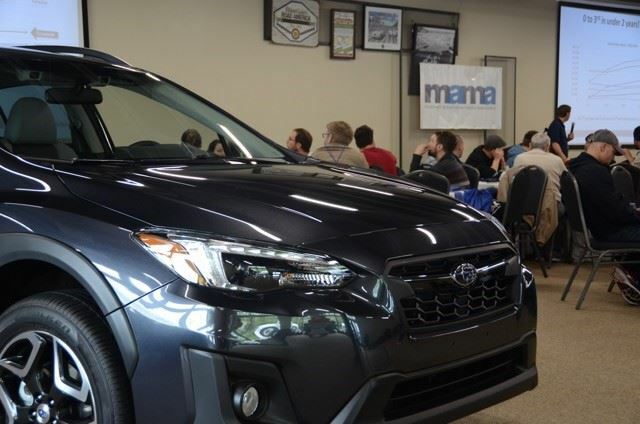 MAMA is a nonprofit group of automotive journalists and public relations professionals, and it developed the award to help car-shopping families make a wise decision when they’re ready for a new vehicle. “Choosing a family vehicle is an important decision. It should be versatile, reliable, efficient, and reasonably priced. 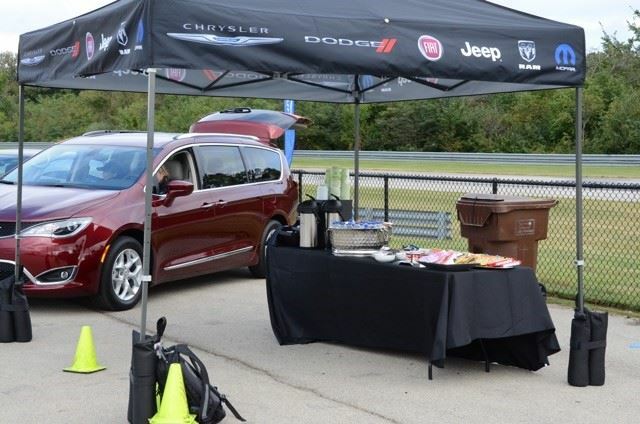 MAMA members pooled their expertise and experience to select the best family vehicle from an excellent group of new and notably refreshed models, and the Chrysler Pacifica came out on top of them all,” said MAMA Senior Vice President Damon Bell. To qualify for the award, vehicles had to have four doors, start at less than $50,000, appear at one of MAMA’s two annual rallies, and be new or significantly updated within a year of the 2016 Spring Rally, which took place last May. The MAMA Spring and Fall rallies feature roughly 100 manufacturer vehicles for journalists to drive and evaluate. 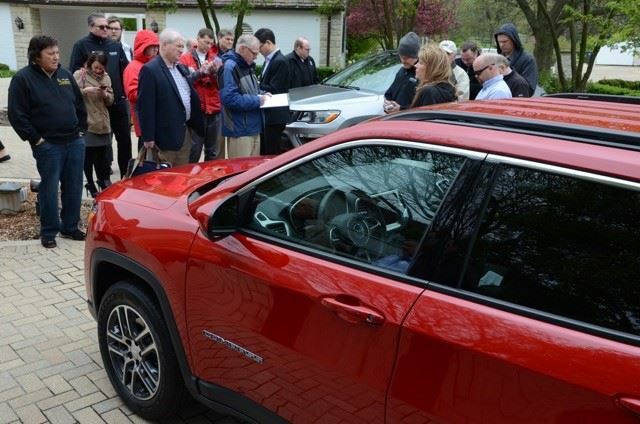 Voting took place at both rallies, and out of more than three dozen competitors, we ended up with 12 finalists: Acura MDX, Audi A4, Chevrolet Volt, Chrysler Pacifica, Ford Fusion, GMC Acadia, Honda Accord, Honda Civic, Jaguar F-PACE, Mazda CX-9, Toyota RAV4, and Volkswagen Golf Alltrack. MAMA members then voted in one final round, and 91 automotive journalists selected the 2017 Chrysler Pacifica as the winner with 215 points, beating the 2016 Mazda CX-9, which garnered 109 points. The 2017 GMC Acadia placed third with 47 points. Voting for the 2018 Family Vehicle of the Year award will begin at the 2017 MAMA Spring Rally, which is scheduled for May 24-25 at Road America in Elkhart Lake, Wis. The MAMA Fall Rally is scheduled for October 4 at the Autobahn Country Club in Joliet, Ill.
For more information about MAMA, visit www.mamaonline.org. Founded in 1991, and now in its 26th year, the Midwest Automotive Media Association comprises 278 automotive journalists and public relations professionals from 25 states, D.C. and Canada. Though based in the Chicago area, MAMA welcomes members from all parts of the country. 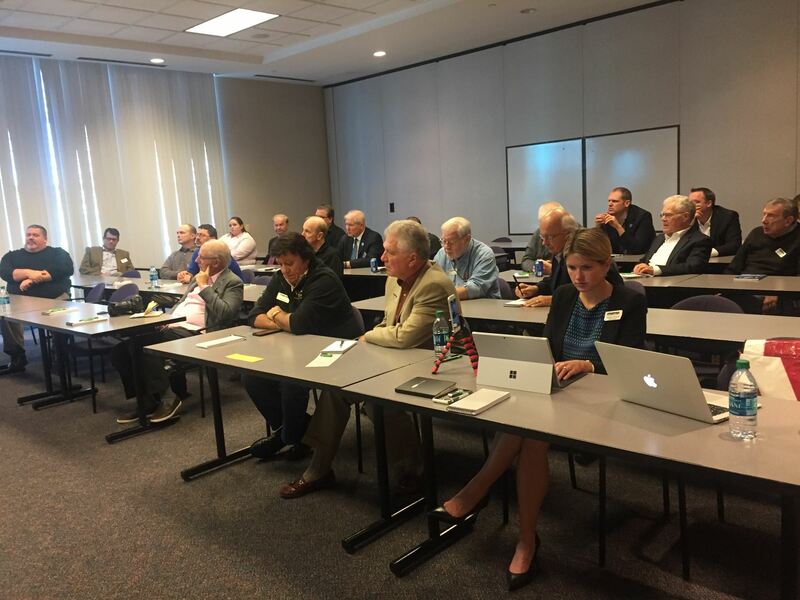 The organization’s primary purpose is to provide a forum for newsworthy people, major issues, and new products in the auto industry. The 2017 Chicago Auto Show Media Preview will open on Thursday, Feb. 9 with a keynote from Ralph Gilles, Head of Design, FCA – Global, during the Midwest Automotive Media Association (MAMA) breakfast from 8-9 a.m. Newly elected MAMA President Jill Ciminillo will introduce Ralph Gilles to more than 400 attendees at the annual Auto Show kick-off breakfast. Gilles is responsible for overseeing all vehicle designs for the FCA brands including Chrysler, Jeep, Dodge, Fiat, Ram and Alfa Romeo. Since first joining the Company in 1992 as a designer, Gilles has put his extensive academic background in industrial design and business administration to use, holding various positions within the Company. In 2015, Gilles was named a member of the Group Executive Council (GEC) for Fiat Chrysler Automobiles N.V. (FCA). The GEC is the highest management-level decision making body within the FCA organization and is led by the FCA Chief Executive Officer (CEO). Doors open for the MAMA breakfast at 7:30 a.m. on Feb. 9. Valid media or exhibitor credentials are required for admission. Jill Ciminillo Elected President; the first female President in MAMA’s 25 years. Chicago (Jan. 27, 2017) – The Midwest Automotive Media Association (MAMA) elected its 2017 board of directors during its annual business meeting. Jill Ciminillo was elected president – MAMA’s first female president – and Damon Bell joins the board as MAMA’s senior vice president. Ciminillo will succeed Patrick Olsen as president and Bell will take Ciminillo’s outgoing role. 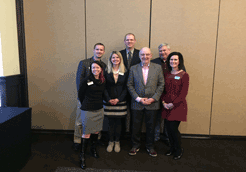 Additionally, Matt Avery was re-elected as vice president of membership, Larry Nutson will remain the association’s treasurer, Kelley Enright will keep her position as secretary and Jennifer Morand continues to serve as MAMA’s website and social media director. During the annual MAMA business meeting, Vice President of Membership Matt Avery announced that the organization has experienced a 13 percent increase over the previous year, and an overall growth of 19 percent in two years. Outgoing President Patrick Olsen highlighted MAMA’s successes over his two-year term, including establishing a track driving school to teach MAMA media members performance driving, hosting a 25th anniversary party to celebrate MAMA’s wonderful 25 years and holding successful rallies in the spring and the fall of each year, where manufacturers have the chance to showcase their latest vehicles to MAMA media members. For more information on the Midwest Automotive Media Association or to apply for a media or an affiliate membership, please visit www.mamaonline.org. Founded in 1991, the Midwest Automotive Media Association (MAMA) is one of the most prestigious automotive press associations in the industry. MAMA's mission is to provide a forum in the Chicago area for newsworthy people, major issues and new products in the automotive industry. For more information, please visit www.mamaonline.org. 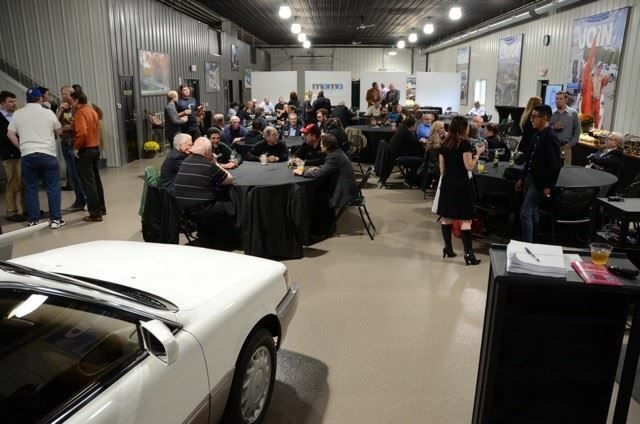 The Midwest Automotive Media Association hosted its annual Holiday Social earlier this week to celebrate a great year! Nearly 70 members mingled and enjoyed Latin-themed fare at Chicago-based Carnivale. 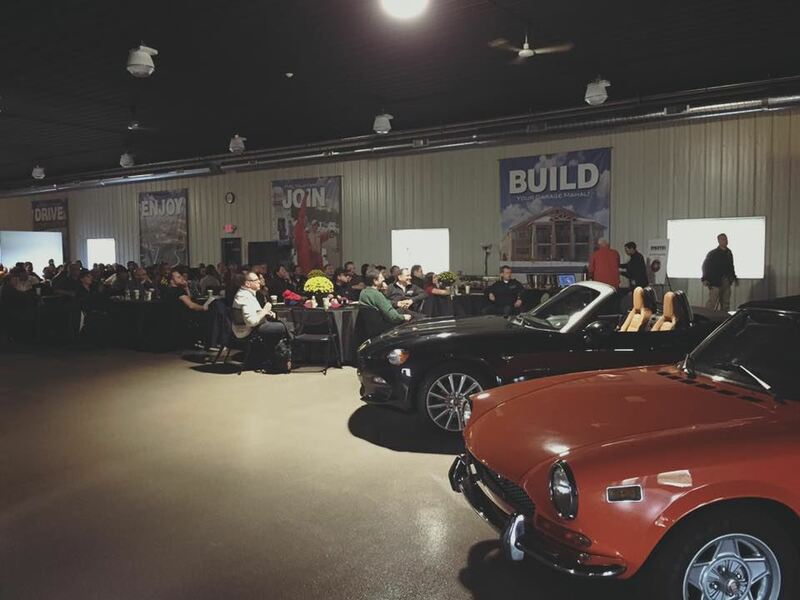 The event received amazing overwhelming support from members with Gold Sponsorships from Fiat Chrysler Automobiles, Hyundai and Nissan. Additional Holiday Social sponsors included: Honda (passed appetizers), Mazda (valet), Toyota (coat check) and specialty cocktails: Chicago Auto Show "Sidecar," Kia "Niro Nog" and Chevry Cruze "Down the Hatch" Old Cuban. One member, Robin Warner of Hyundai, even celebrated his birthday with his MAMA colleagues! Guests catch up over specialty cocktails. MAMA members ate, drank and were merry! Thanks to all who made this event a great success. 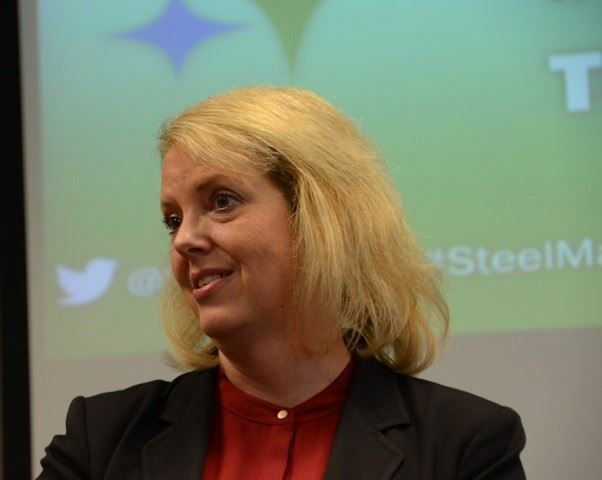 The Steel Market Development Institute’s (SMDI) Dr. Jody Hall served as the guest speaker during the November MAMA meeting to deliver a powerful message: steel is not the “dinosaur” that some perceive it to be. 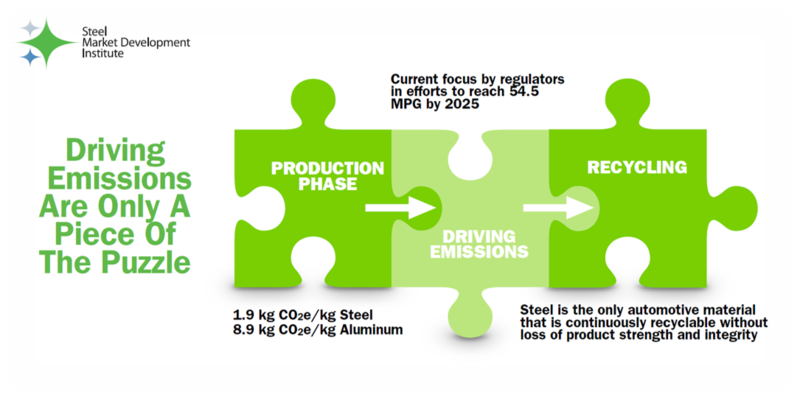 In fact, the Steel Market Development Group collaborates with car manufacturers to develop innovative material to enhance performance and produce better fuel economy. Hall opened with a brief history lesson and referenced the late 70s/early 80s when manufacturers began to decrease the weight of their vehicle, due to the oil embargo and CAFE requirements, to improve fuel economy. The car companies and steel market have come a long way since then, always working alongside one another to provide consumers a safe vehicle while also complying with government regulations. Aluminum is another material that car companies use to reduce vehicle weight; however, Hall cautions that no matter the material used, it’s the combination of the material and design that optimizes performance and enhances safety. Material and design go hand-in-hand. On the subject of safety, Hall provided an example of crash safety testing involving a 1959 Chevrolet Bel Air and a newer Chevy Malibu – head-to-head. As the old saying goes, “They don’t make cars today like they used to,” this certainly did not apply in the Bel Air/Malibu crash test. The Bel Air’s entire front end through the driver’s and passenger’s seat was smashed in while the Malibu’s front was smashed yet it didn’t progress to the driver’s seat. This might surprise some, as the Bel Air was a heavy, full-size automobile compared to the compact, lighter-weight Malibu. Hall says that size does not always necessarily matter when it comes to safety – again, it’s a combination of the material used and design. SMDI also collaborates with car manufacturers to develop repair technologies for new Advanced High Strength Steel (AHSS). SMDI also works closely with first responders, who need to arrive on the scene of an accident and respond quickly and efficiently, to ensure they are aware how to properly use the “jaws of life” tool on that particular make and model to remove crash victims from a totaled vehicle. The first responders have their action plan prior to arriving onsite. SMDI has a relationship with I-Car, offering a variety of educational and training recognition programs for the collision repair industry with more than 30,000 repair shops that have the experience and the infrastructure to repair steel. So, where is steel going and is it here to stay? In short, AHSS is quickly replacing other materials and is the fastest-growing segment in the market – experiencing an extra 10 percent of growth over the past few years. Lead designers and chief engineers from car manufacturers such as Kia, Chrysler, Chevrolet and Honda are backing steel’s claim to improve handling, provide an overall better ride, stiffer feel and overall enhanced performance. Finally, Hall addressed the emissions concern: “Driving vehicle emissions down is only one piece of the puzzle.” For example, some automakers tout that they’re saving the environment by using lightweight materials, like all-aluminum, to help fuel economy thus saving on emissions. However, Hall cautions that in some cases extra greenhouse gas emissions are released to simply make the alternative material. She claims steel is the only automotive material that is continuously recyclable without loss of product strength and integrity. To learn more about the Steel Market Development Institute (SMDI) visit www.SMDISteel.org or follow #SteelMatters on social media. 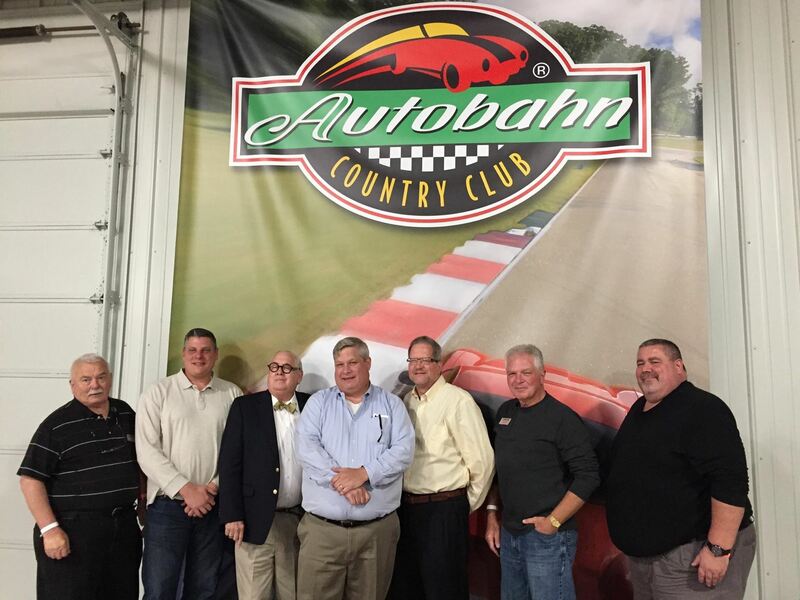 MATTESON, Illinois – Last week, MAMA members had the exclusive opportunity to get an inside look at the fascinating process of a wholesale auto auction at Manheim Chicago. Manheim has three Chicagoland locations, including Manheim Chicago, which moves more than 10,000 vehicles through the auction lanes each week. 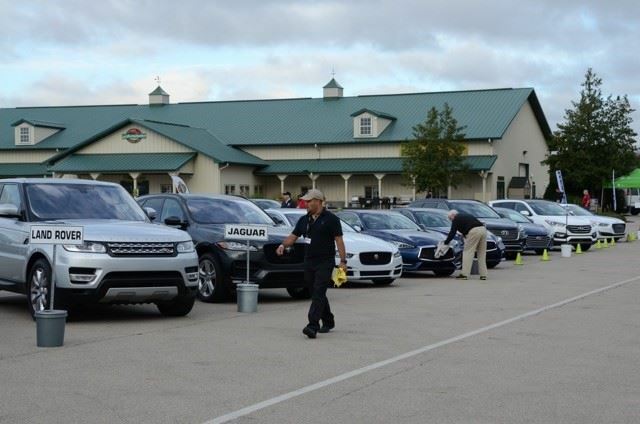 MAMA members, who attended the meeting, witnessed thousands of vehicles being showcased “in the lane.” This is where the buyers bid on vehicles that will go back to their dealership or fleet operation. Then they toured the body shop, paint shop and reconditioning area, providing a sneak peak at how vehicles are prepped before going to the live auction. “With more than 4,000 vehicles on the block each week, the process seems overwhelming, but in reality, it’s organized chaos,” said Mike Cesta, Manheim Chicago’s general manager. Manheim, part of the Cox Automotive network, has been a leading wholesale auction house for 71 years, employing more than 30,000 team members worldwide. Last year, Manheim North America registered nearly 7.5 million vehicles and facilitated $50 billion in sales, touching three out of four cars sold in the United States and Canada. Manheim Arena Illinois in Bolingbrook and Manheim Milwaukee make up the other two Chicagoland locations. Michelle Krebs, senior analyst of Cox Automotive’s Autotrader, kicked off the lunch presentation by discussing industry trends and disruptors of both new vehicle and CPO vehicle sales. Krebs shared data from 2009 – 2015 and discussed that while the adult population has increased by 38 million people, new vehicle sales have remained steady at the 17.5 million mark. Additionally, Krebs said that while consumers are finding ways to make it work, the number one reason they don’t buy or lease vehicles are because they cannot afford them. Grace Huang, Manheim Senior Vice President of Inventory Services, next provided an overview of the Cox Automotive business, which includes 25 affiliates. Huang stated that consumers buy some 40 million used vehicles per year with Chicago being the number three largest overall vehicle market. Cesta wrapped up the informational day with news that Manheim is investing $4.6 million in Manheim Chicago with increased lane capacity and 34 new acres of land, which will allow them to move even more vehicles in the future. Overall, it was a terrific learning experience providing a birds-eye view into the world of auto auctioning.